The American Society of Transplantation (AST), a New Jersey-based non-profit dedicated to advancing the field of organ transplantation has partnered with the Animal Welfare Association (AWA), the oldest and largest no-kill animal shelter in South Jersey, for a unique opportunity to promote two critical causes: organ donation and animal adoption. On August 20, the AST will bring organ transplant recipients, living donors and caregivers together with dogs in need of adoption. The participants will share their heartfelt messages of support that both humans and animals deserve a second chance at life. Members of the transplant community will create short video stories — highlighting their personal transplant journeys along with the journeys of the available dogs for adoption. Organ transplantation is a severely underfunded and overlooked treatment for a number of diseases. There are currently more than 114,000 people on the waiting list for a life-saving organ transplant in the United States, with approximately 20 people dying each day while waiting. In New Jersey alone, nearly 2,400 people are waiting for an organ transplant. Increasing awareness around the critical need for organ donation and medical research funding is imperative to secure the sustainability of the medical miracle of organ transplantation. 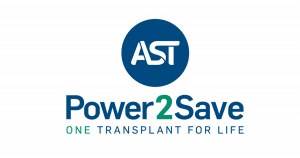 The American Society of Transplantation recently launched an initiative called Power2Save to address the need for increased awareness of organ donation and further transplant research. Power2Save aims to offer reliable educational resources to the transplant community, share stories of hope and raise the much-needed funds for research. For 70 years, the AWA has strived to improve the community and the welfare of animals in it. Since the 1948, AWA has promoted progressive pet practices that left a mark not just on the tens-of-thousands of animals who were given a second chance, but shaped the way our neighborhoods behaved toward animal care. AWA has evolved from fighting animal cruelty to the prevention of suffering and the continual education of the public on innovative ways to help animals. AWA strives to match people with pets that fit their lifestyles. Part of our mission to take care of the animals means taking the time to find loving and responsible homes. If you are interested in attending, please email sobrien@myAST.org.